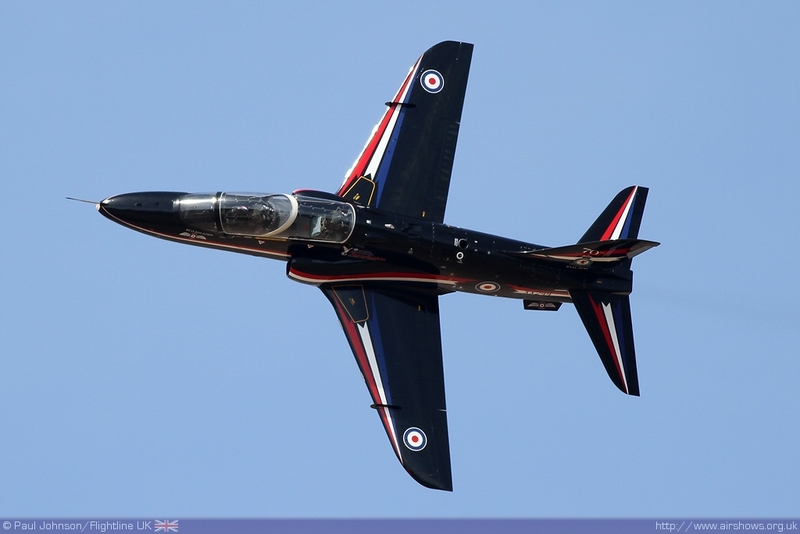 March is coming to a close, the days are getting longer and the clocks are going forward, it is nearly time for the airshow season to get underway. 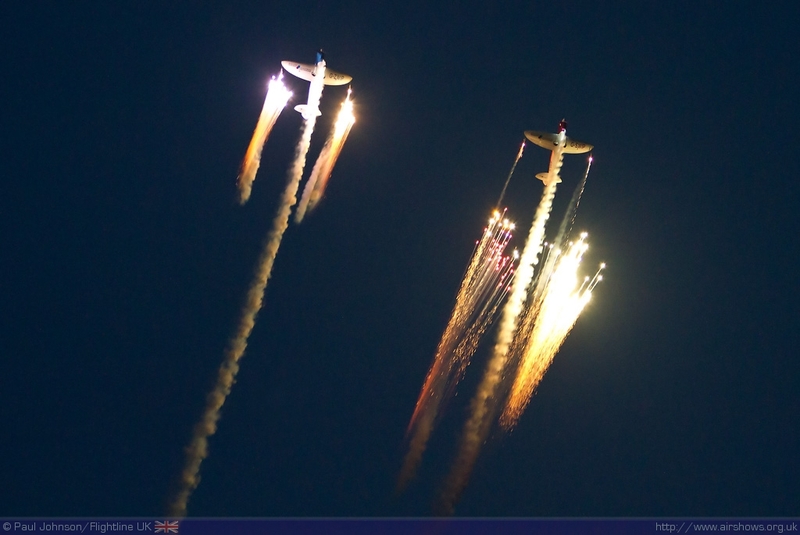 One of the biggest events on the calendar is the Bournemouth Air Festival and it’s an event I’ve greatly enjoyed over the past few years, not least because Bournemouth Council have been very forward thinking with the format and presentation of their event. 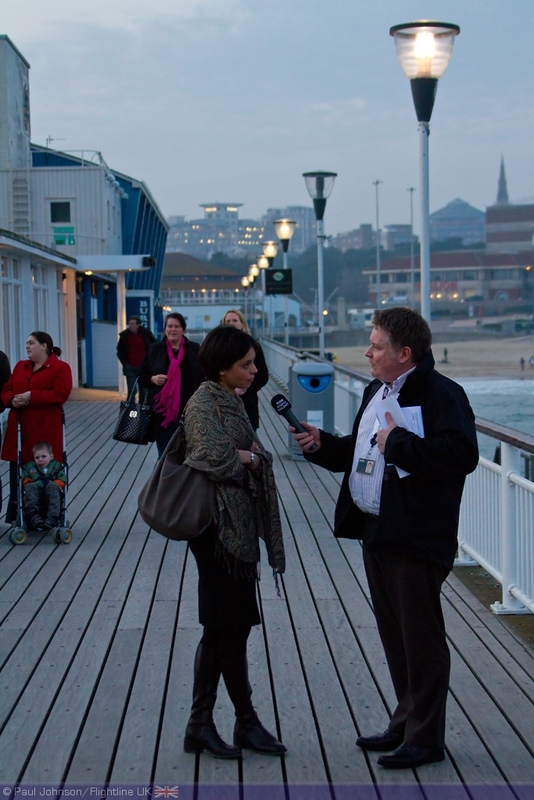 The 2012 event was launched last week at Bournemouth Pier and Paul Johnson/Flightline UK was there. All photography copyright of the author unless credited otherwise. 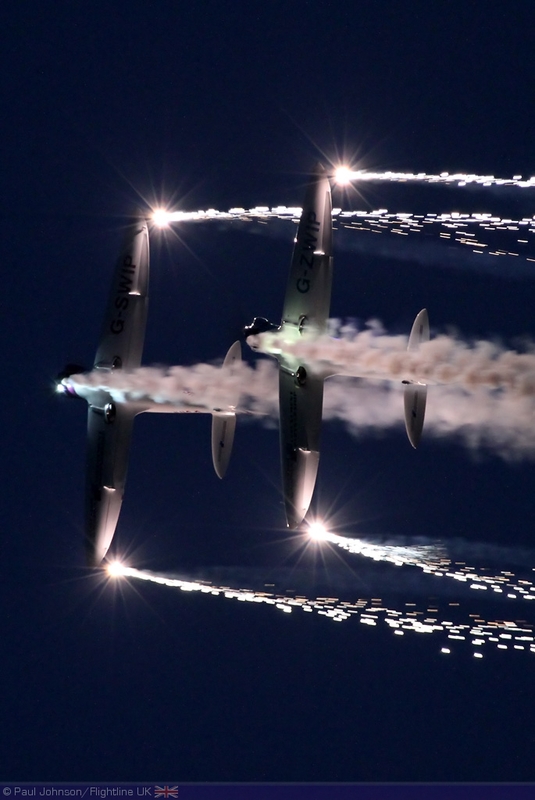 Bournemouth may be one of the newest seaside airshows, but in many ways it has become the leading seafront aviation event in the UK. 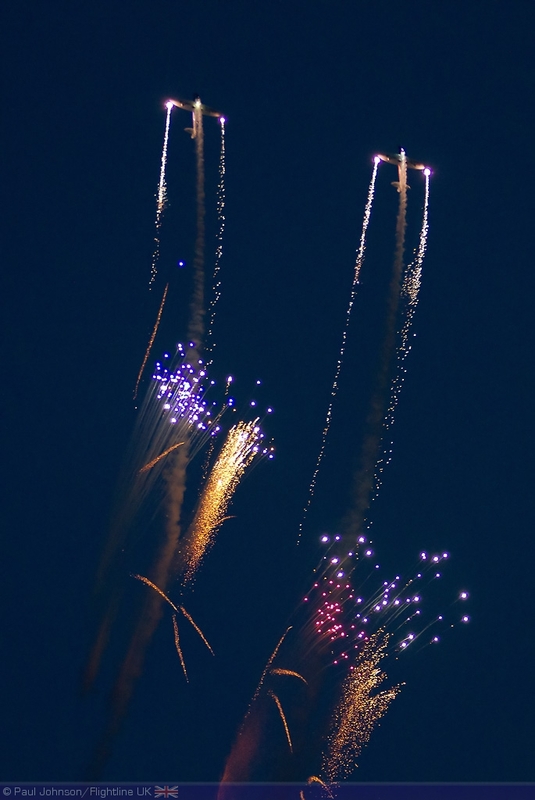 The show has always had a buzz around it, and has become a superb weekend break with entertainment continuing long into the Evening. 2011 was a year of mixed fortune for Bournemouth. Thursday was a total washout and severe damage was caused in the town centre due to the deluge of water running-off the land and through the drains. Friday was absolutely superb. The cold grey weather replaced by near Mediterranean conditions concluding with a quite superb ‘Night Air’ dusk flying display. 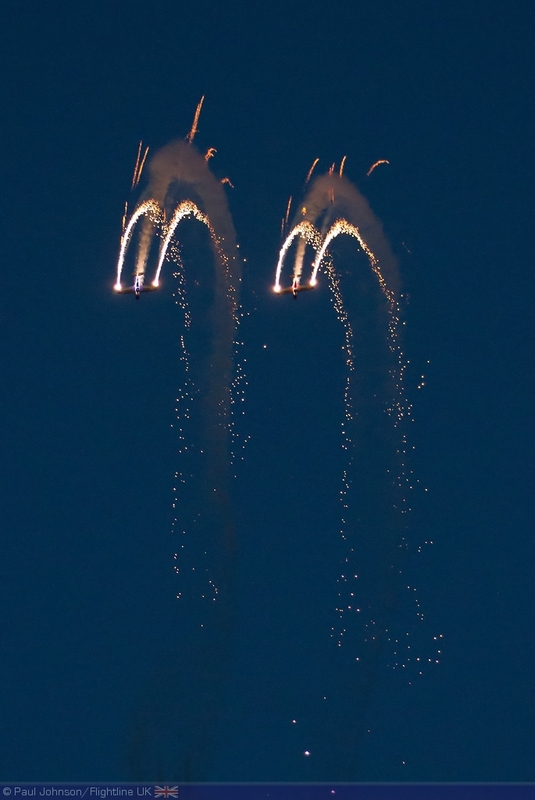 The weekend should have been remember for equally superb conditions, but was marred by the tragic loss of Fly Lt Jon Egging, Red 4, at Bournemouth Airport as the team recovered from their display. However, there was an amazing show of support from the public for the team and the incredible dignity of his wife, Dr Emma Egging. 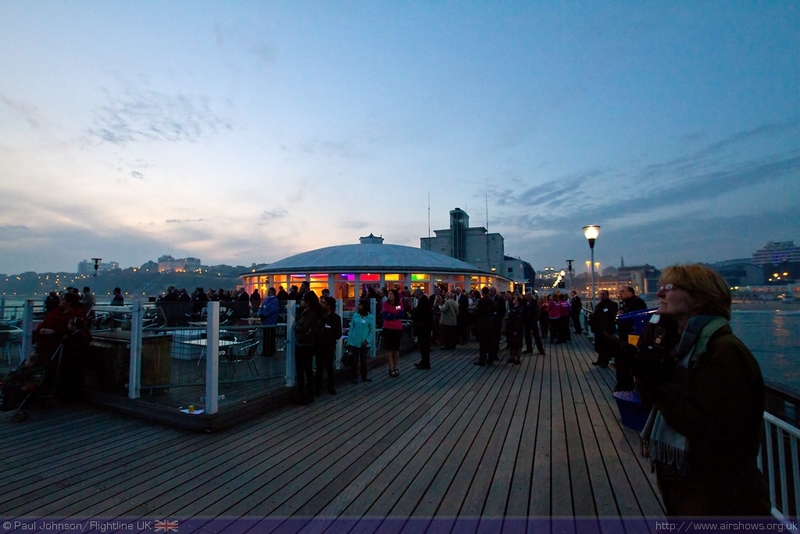 Bournemouth have always liked to be a little different, and they kicked off their Launch Event in the Key West Restaurant at the end of Bournemouth Pier in unique style with a performance by a harmony choir! 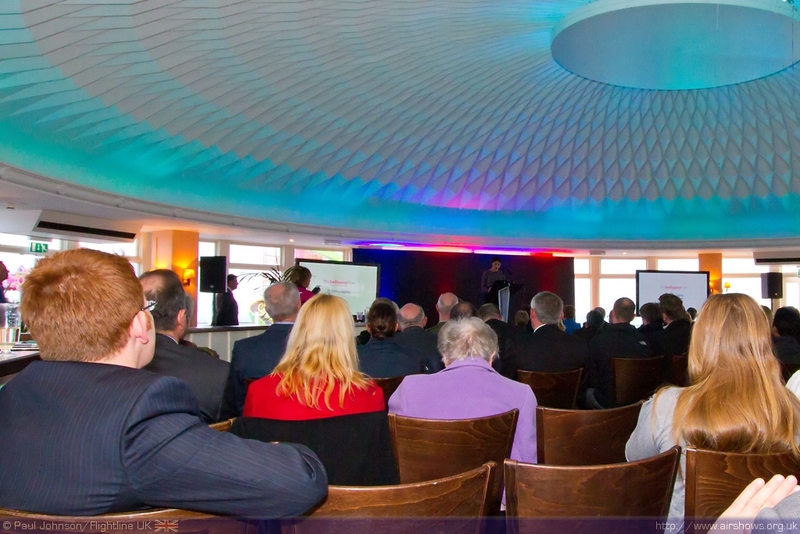 The Launch Event’s aim was to promote the event to local businesses whose support is so vital for shows like Bournemouth as well as release news of some of the attractions coming to Bournemouth at the end of August. Visually, the Royal Navy is perhaps the biggest supporter of Bournemouth Air Festival and in previous years the large Royal Fleet Auxiliary ships have made for an impressive back drop to thr show. 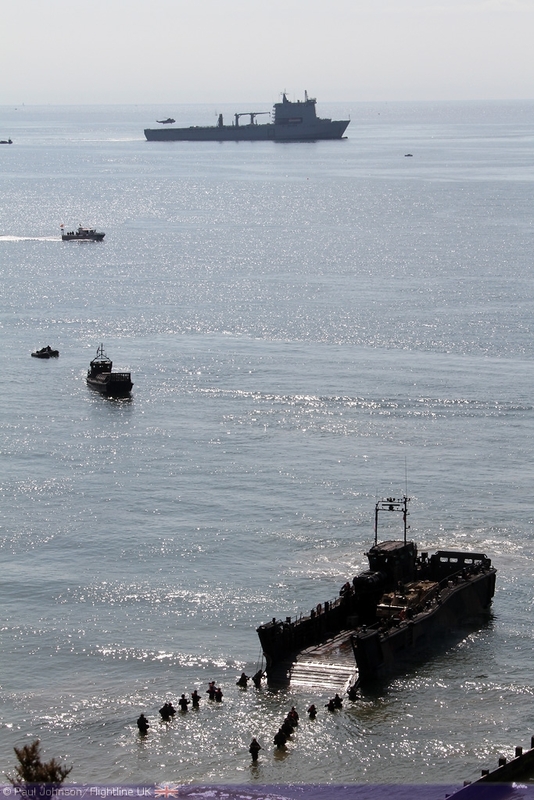 RFS Mounts Bay will be back in 2012 following her role as a support ship for the 2012 Olympics in London. 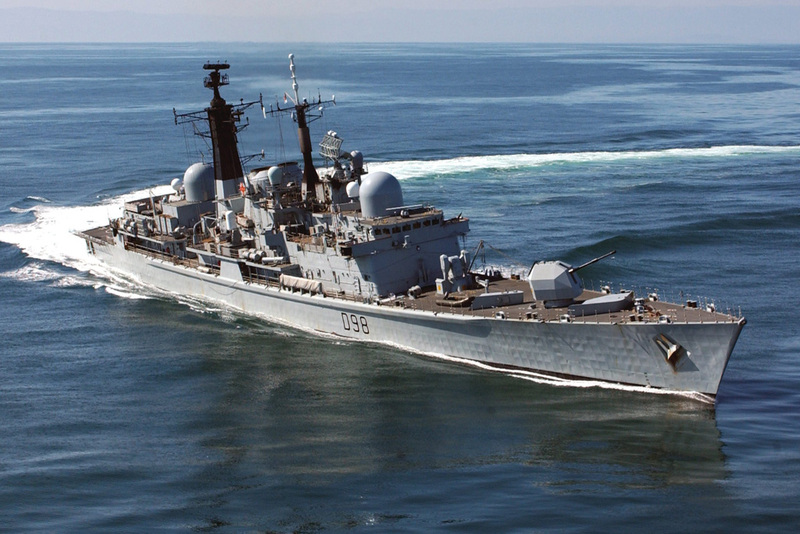 Joining here for the first time will be one of the Royal Navy’s main front line ships, the Type 42 Destroyer HMS York. 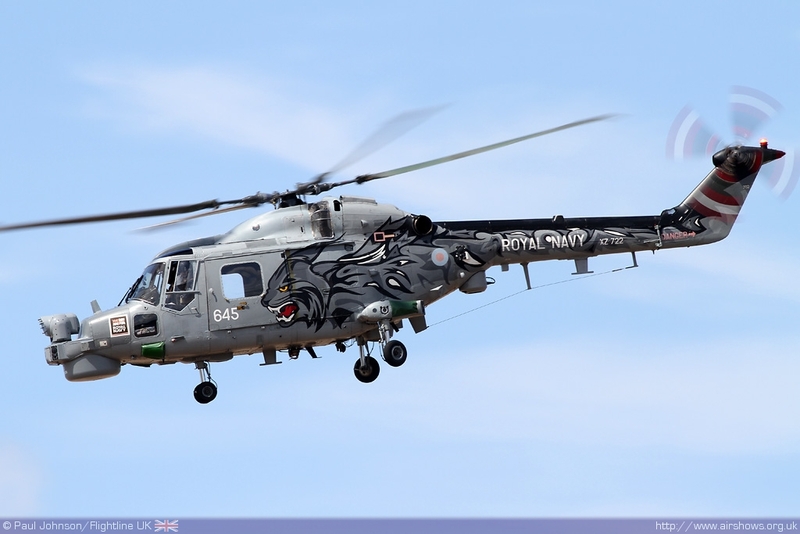 Both ships will be taking a full role in the Beach Assault which traditionally opened the beach front action hosting operations by Royal Navy helicopters which will include the return of the Black Cats Helicopter Display Team. 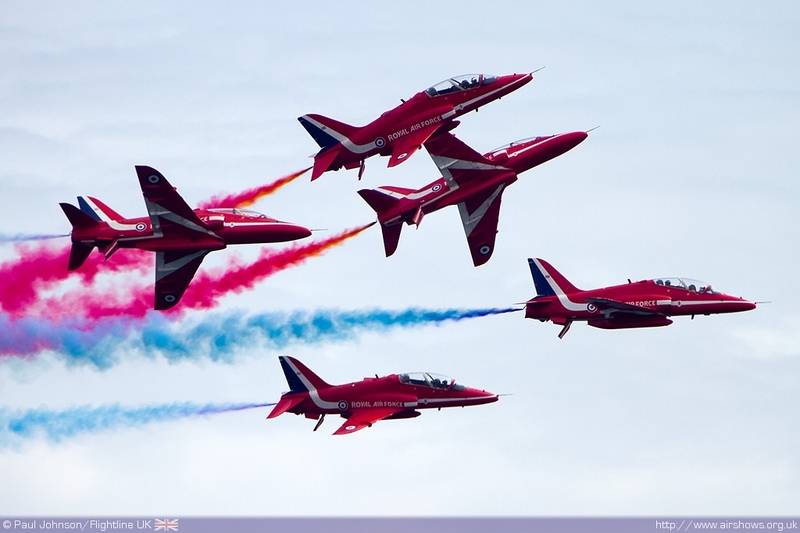 The Royal Air Force will also supporting the Air Festival as much as possible. 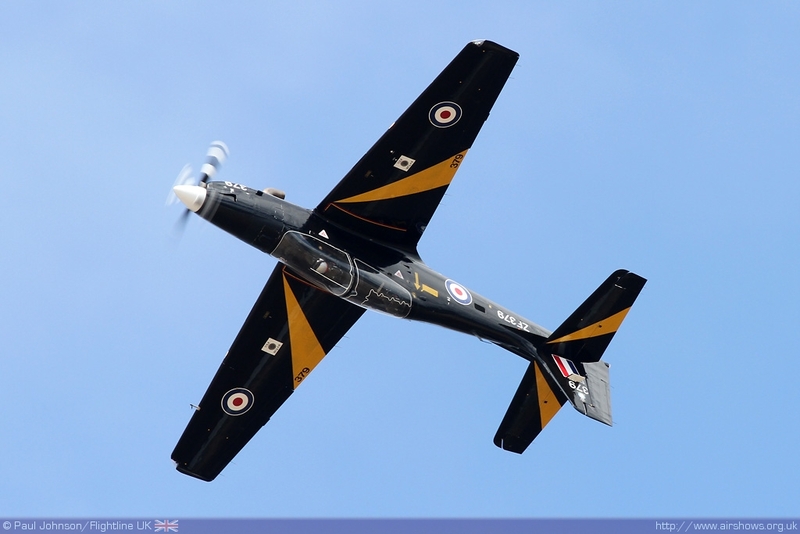 One of the centrepieces of the ground shows at Bournemouth is the RAF Village which houses many displays from various RAF units as well as the display teams and careers services. In the air all of the RAF’s trainer aircraft solos will be appearing throughout the four days plus the RAF Tornado GR4 role demo. 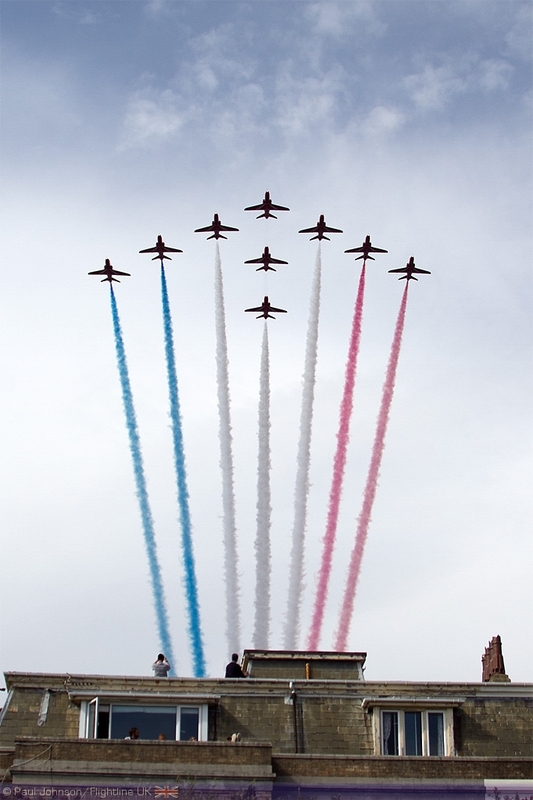 There will be an emotional return for the Red Arrows who will fly on three days (Thursday through to Saturday) at the Air Festival. 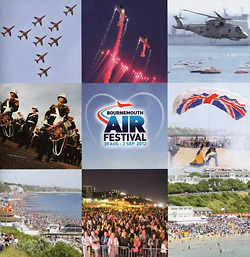 One of the charities supported by the Air Festival this year will be the Jon Egging Trust and on the Friday there will be a special “Red Ball” at the Bournemouth International Centre to raises funds for the Trust’s work in supporting and inspiring young people. Though not confirmed at the time of the Launch, Joint Helicopter Command is hopeful that a RAF Chinook may also be able to display at the Air Festival subject to operational requirements. 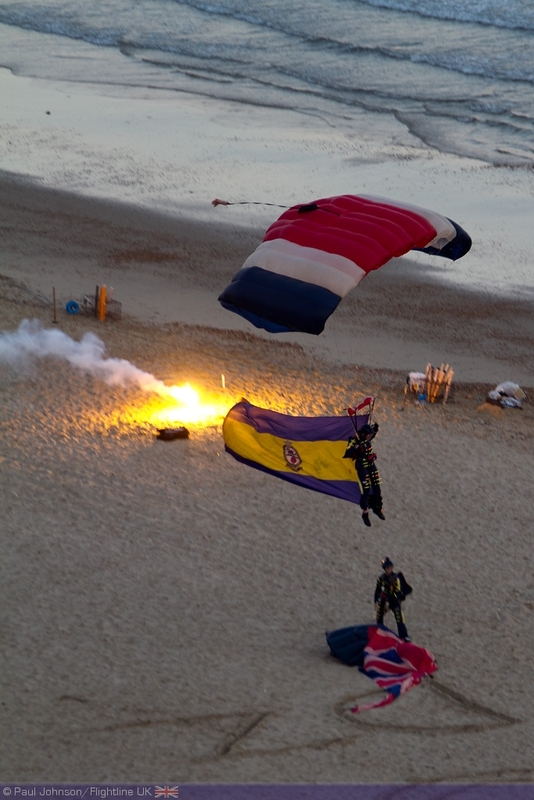 The British Army will also be in evidence with the Tigers Parachute Display Team from the Princess of Wales Royal Regiment participating again both in the daytime shows and the Night Air displays. 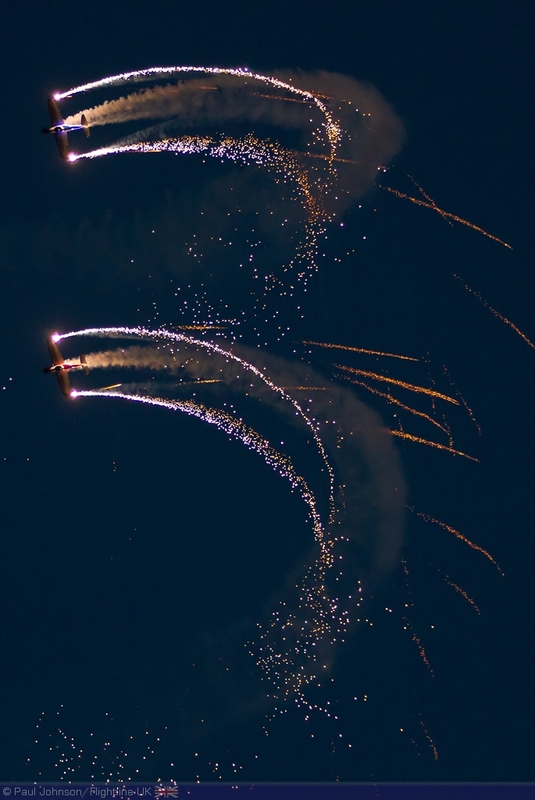 Bournemouth are now starting to look a their civilian display items, though the only confirmed display item is the SWIP Team which will be also performing daytime and dusk pyrotechnic displays. 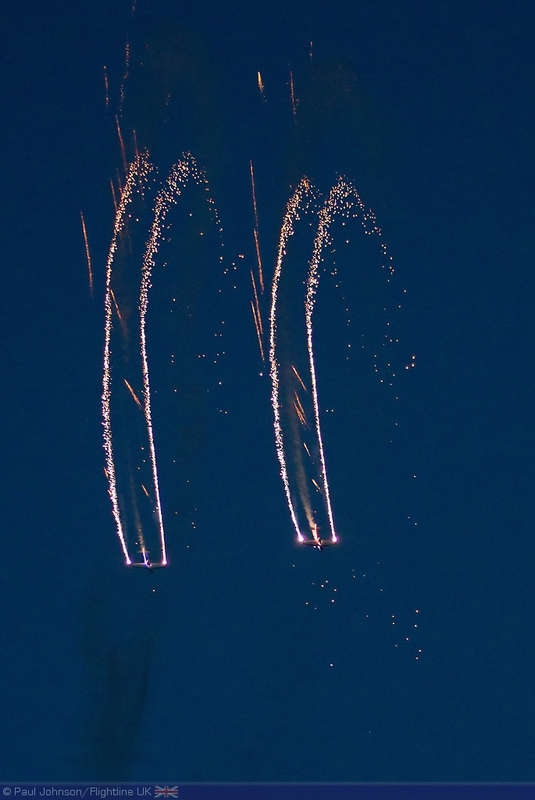 At the Launch event the team closed the evening with a sparking display over the pier complete with pyrotechnics streaming from their wingtips. 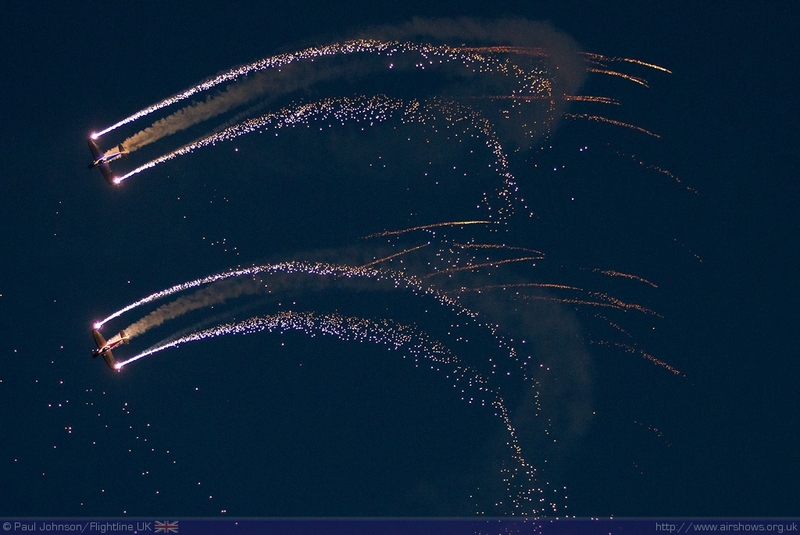 For the latest information on Bournemouth Air Festival; visit our Flightline UK Preview or the Official website. Want to comment on this article, then please visit our Facebook page! 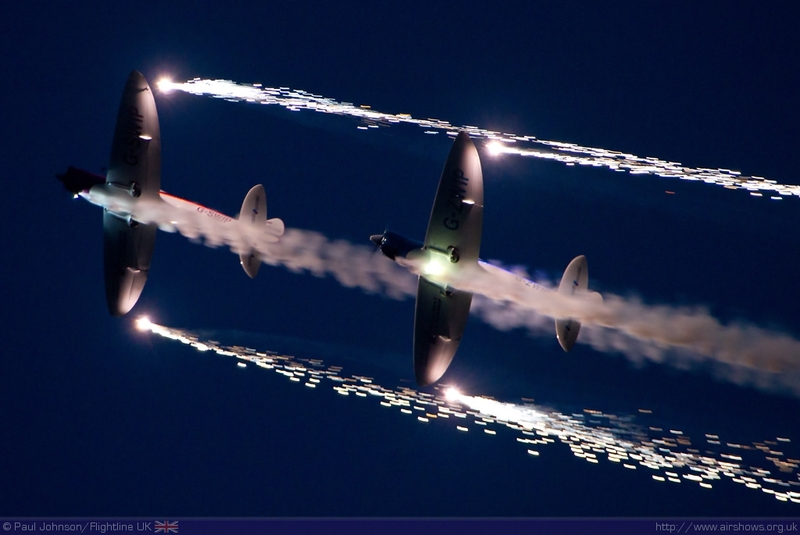 Copyright © 2011 Flightline UK.